The 21st Century is where everything changes and Big Finish are ready. When Big Finish brought back Torchwood in audio form, it was a stunning success. 1-hour standalone stories that concentrated on a different member of the team. Imaginative, entertaining and totally in keeping in the legacy of the BBC Three classic show. So when they announced they were going to do a 2-hour special featuring all your favourite Torchwood characters (bar Owen) from both the original TV run and characters they had invented just for the audios for celebrate Torchwood turning 10; I was SO in! This set does not disappoint…although at times it does confuse, but that’s ok! Let me explain. This story is set aboard a distant outpost at the edge of the known universe in the distant future. 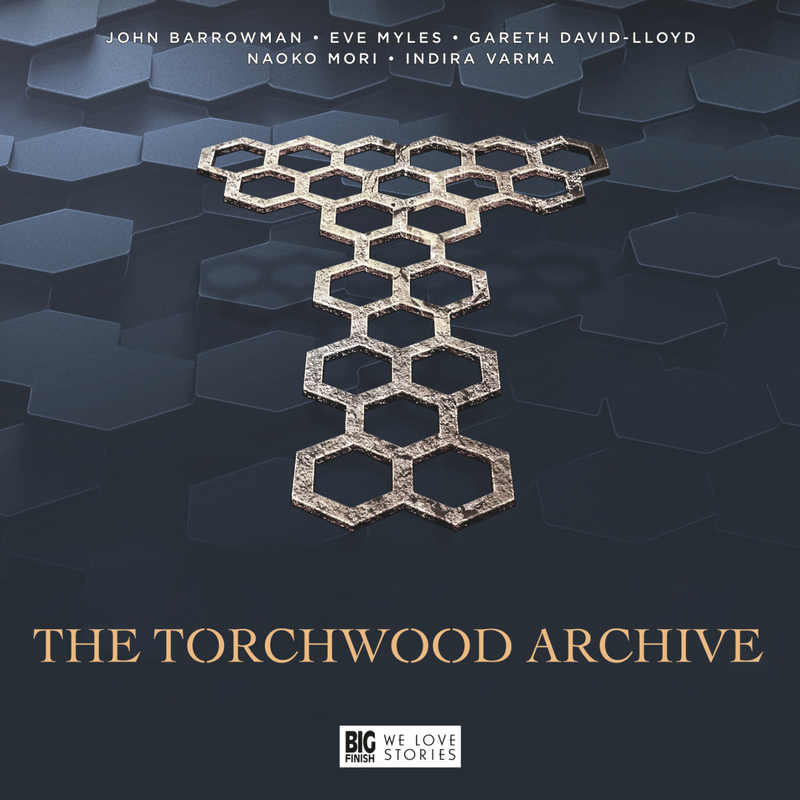 The Torchwood Archive is a repository of all knowledge and objects from Torchwood dating back to when Queen Victoria first set up the organisation. A cast of familiar holograms from Torchwood past take a gentleman (who breaks into the archive to destroy it) through the history of Torchwood. This is where the confusion comes in a little. The history of Torchwood is shown sometimes out of order, by multiple narrators and through multiple events in it history. We track an object known as the ‘Bad Penny’, the history and future of the mysterious ‘Committee’ and the events that led the man to the archive to destroy it. I truly believe there is a complete story in here; but it’s complicated. I get most of what the story is telling; but feel you would need to listen to it at least twice to get the full meaning. I am happy to do this, just didn’t have enough time before this review was due! This is where I would usually single out the cast who shine in this audio, but in fairness, just look at the cast list; John Barrowman (Cptn. Jack), David Warner (Committee member), Eve Myles (Gwen Cooper), Tom Price (PC Andy)… the list goes on and they are all of course marvellous. Hat’s off to writer and producer of the Torchwood audio range, James Goss for this wonderful and ambitious story, as well as to Scott Handcock, who had the huge job of directing it. This is a real must for Torchwood fans and a story with amazing scope, just mark out enough time to listen to it at least twice! I give this 9/10 Ianto Coffee’s! You can hear me talk to Torchwood audio writer and producer James Goss on the Gallifrey Stands Podcast here https://GallifreyStandsPodcast.podbean.com/mf/web/unqhw7/Ep92-LifestyletipswithJamesGoss.mp3 and there are interviews with many of the Torchwood cast in other episodes.